Geoffrey Palmer says the performance of local government in relation to the environment seems to be seriously deficient. The Resource Management Act 1991 conferred on local government important responsibilities to protect New Zealand’s environment. The Act is all about imposing environmental bottom lines that keep economic development within the capacity of the environment to support it. Regional councils, where they exist, have heavy responsibilities to maintain New Zealand’s clean and green image. Yet, in many respects they have failed. The great advantage of the Environment Court in resource management matters flows from its judicial independence. The court listens objectively to the evidence, usually based on science, and tests it against the requirements of the Act on sustainable management. The court is free from political spin, bias and the influence of special interests. Two recent decisions from the Environment Court demonstrate the value of its processes. 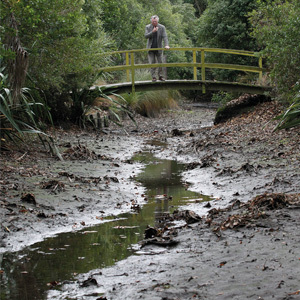 Both decisions repay close study for anyone interested in knowing how the environment is faring under the stewardship of local government in New Zealand. In the Manawatu case the Environment Court issued seven far-reaching declarations. It had been assessing and granting consents in accordance with a council resolution since 2013 that was at odds with both the One Plan and the Act. Given the strength of the declarations that the court issued, the council will have to take urgent remedial steps to ensure that it acts within the law. The defects of its administration are laid bare for all to see in the 81-page decision. other deficiencies in its practice. So complete was the council’s forensic defeat, even though Fonterra and Federated Farmers fought hard to defend it, that questions must be asked as to how such a parlous state of affairs could come to pass in an organ of New Zealand local government. The council did not follow the Act. It did not follow its own promulgated rules. Under what legal advice did the council proceed with its ill-fated resolution one may reasonably ask? The rule of law cannot withstand conduct displayed by the council in this decision. The question arises whether the whole saga since 2013 was the result of incompetence or deliberate political manoeuvring. While I can think of no example where a case brought under the tort of misfeasance in public office has succeeded in New Zealand, on this evidence we must be approaching that point now. Federated Farmers was the prime mover in the MacKenzie Basin case as well. That this was the 11th decision teaches something about litigation as a means of slowing things down. Outstanding Natural Landscape was at stake here and many incursions into that had already occurred in the MacKenzie Basin. Large areas with significant inherent values were being lost quickly and in the view of the court there was a strong case to stop freeholding land in the Basin to enable a review to take place. The Court pointed out “… we judge that pastoral intensification is usually unsustainable in the MacKenzie Basin when sustainability is properly understood to include all components of the ONL’s [Outstanding Natural Landscape] character”. What inferences can fairly be drawn from this record? First, the performance of local government in relation to the environment appears to be seriously deficient. It may be reasonably concluded that local government has an obligation to lift its game to protect the environment. It must not be pushed around by powerful economic interests whose activities pollute. Robust systems that implement the law are required and they must be enforced. Expensive trips to the Environment Court should not be necessary if local government does its job properly. What is at stake here are the interests of future generations whose interests the Resource Management Act is explicitly designed to protect. Sir Geoffrey Palmer QC, the architect of the Resource Management Act, provides legal advice to the NZ Fish and Game Council.